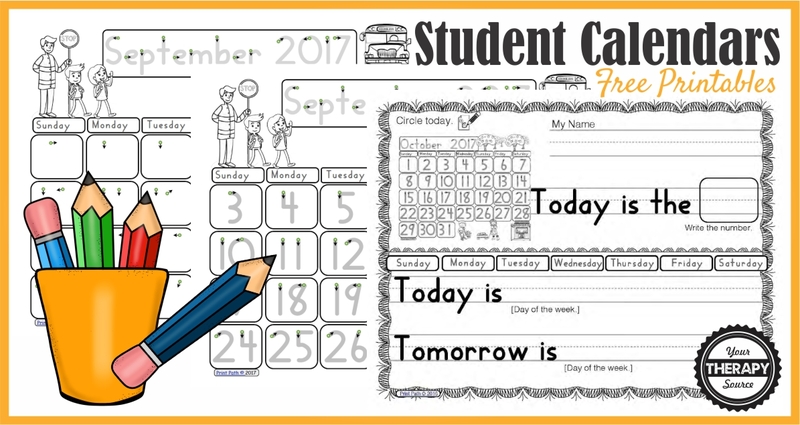 These FREE calendar work printables, created by school based therapist Occupational Therapist Thia Triggs, provide differentiated instruction for students to participate during calendar time and morning work. This freebie is great for individual, group and contextually based therapy sessions. Reinforce your student’s IEP math and ELA goals while focusing on your own therapeutic objectives. These printables are from the Calendar Bundle 2017-2018. 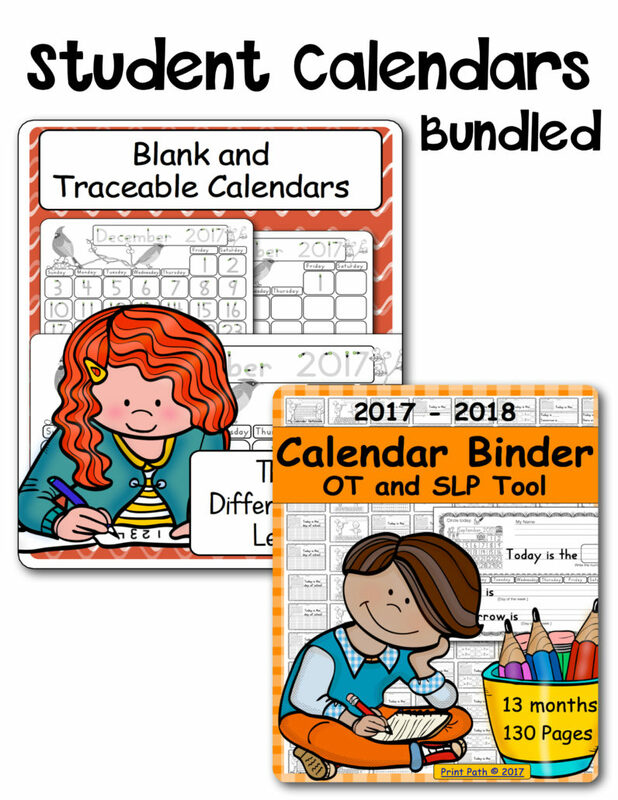 The bundle includes 3 levels of calendars – blank, start dots and traceable and all the materials to create a calendar notebook for 2017-2018. Find out more details here. Download your FREE calendar work printables here. Need more activities to help with number writing and counting? Check out Multisensory Number Writing Bundle, Number People Craftivity, and Cardio Skip Counting.